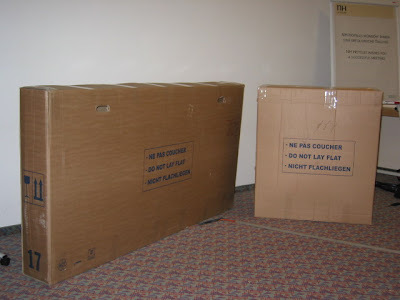 Before we left Frankfurt in May the hotel we stayed with agreed to look after our empty bags for the 5 months while we cycled. 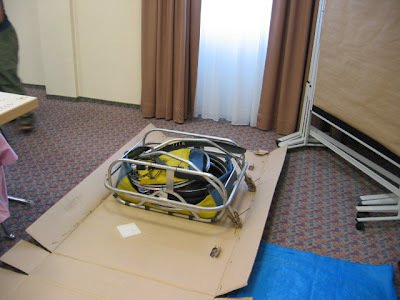 So we packed our trailer bag and other luggage bags into the cycle bag for them to look after. The whole thing was 2.1m x 1.2m x 0.4m, in bright red vinyl. Well on our return they could not find it, after 24 hours of seaching the hotel our bags were declared missing! 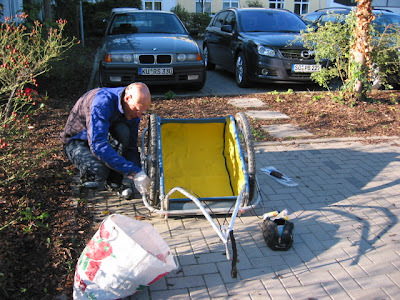 While the search was on we cleaned up the bike and trailer, see first picture. 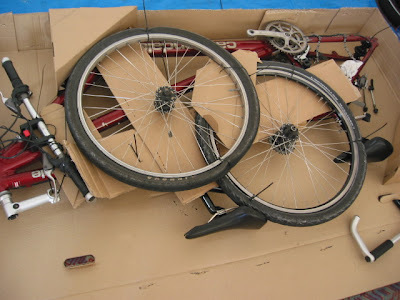 We then set off in a small Volkswagen taxi to collect 3 bike boxes from a bike shop in a neighbouring village - picture two illustrates our Volkswagen stuffing technique. We also picked up some new bags at the local WalMart. 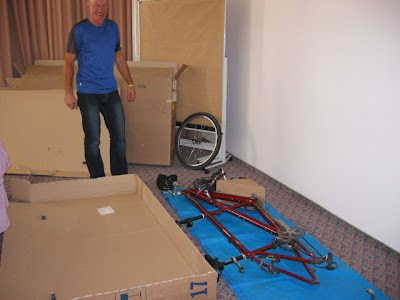 Then we set about packing the tandem and trailer into two custom made boxes! See the remaining photos.